They are fashionable, chic, statement makers and everything that has to do with the word IT trend! Yes, I am talking about Jumpsuits, the trend that has ruled the fashion scene for decades and I love them as much as I love the word fashion! 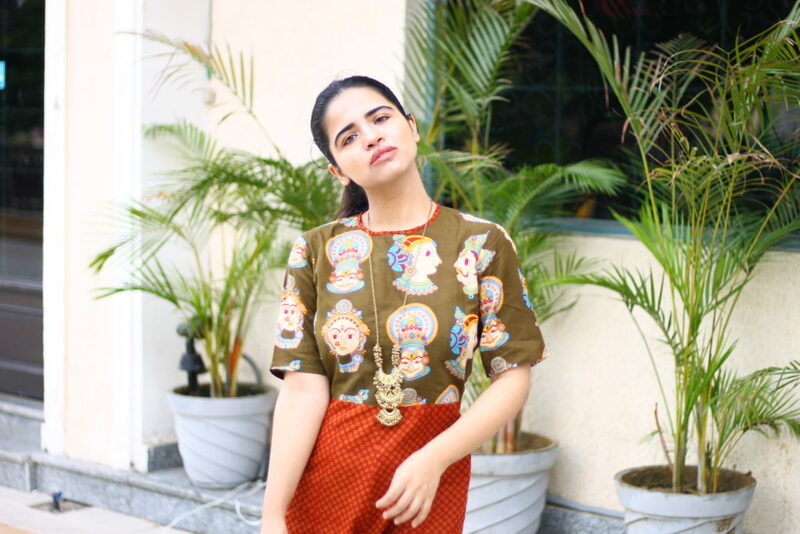 This is one of those pieces in a girl’s wardrobe which can look as casual and as formal as possible, depending on how it is styled. The cousins of Jumpsuits including playsuits the shorter version and the unitards the skimpy version are equally rocking the fashion world. The skimpy version is also called a catsuit, remember Hally Berry in Catwoman! Originally, Jumpsuits were worn by parachuters, astronauts, sportspersons, and workers or labourers. So, they are the main inspiration behind this one piece garment which became a massive hit with the fashion lovers. 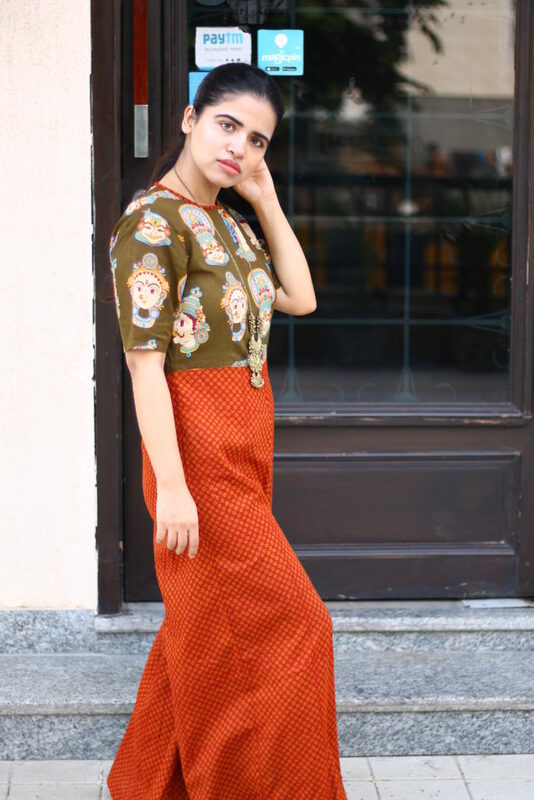 My first memory of Jumpsuit goes back to 2010 when I bought myself a halter neck knee length jumpsuit which I loved so much as it was casual and super stylish! Though I love jumpsuits one thing we all will agree is the discomfort of going to the washroom in them that gives me a tiny headache and hence I never prefer them for traveling and I suggest even you should not. Yes, I bought a jumpsuit after many years now and which was actually an impulse purchase because of broad parallel silhouette and of course the beautiful vibrant ethnic print on it. It is usually said jumpsuits suits tall and long-legged girls and short people should avoid them, which is true but I wear what I love to wear and so should we all. Just style it perfectly and you can stun in any outfit! 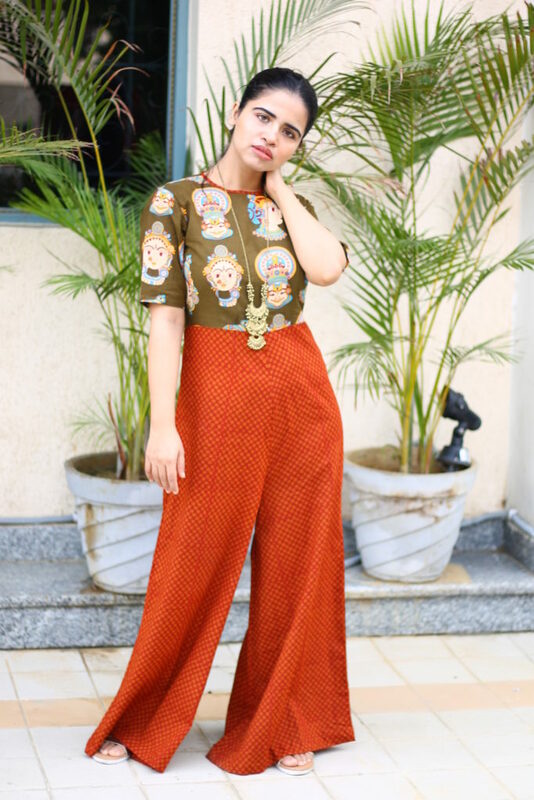 And moreover, jumpsuits are not a fast fashion victim they are evergreen and you can wear them whenever you want and never look outdated or out of fashion! Coming to my style finally, after all the GYAN or knowledge! 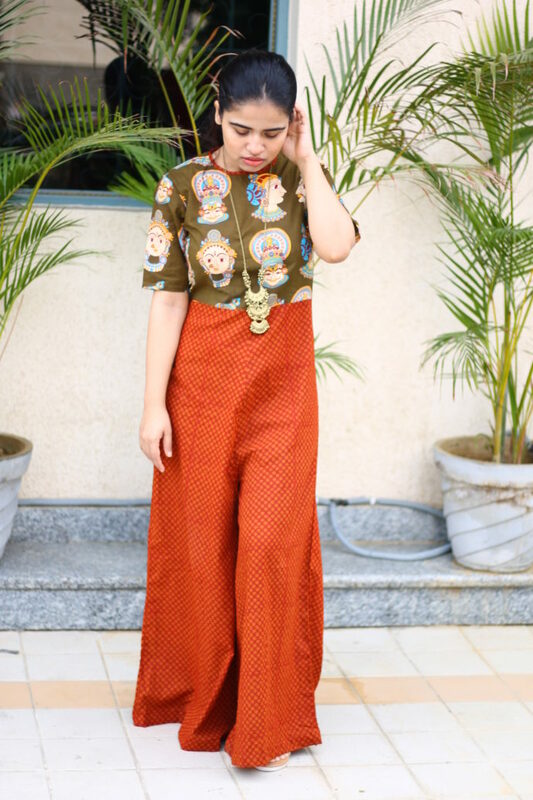 I wore my cotton ethnic print jumpsuit in the simplest way possible with a long gold tone necklace and golden flats. 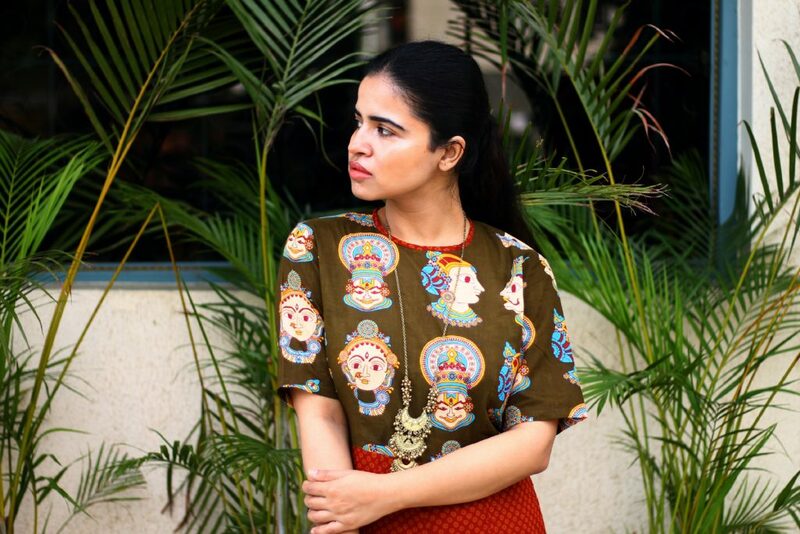 Tied back hair was perfect to flaunt the Kalamkari inspired print on the bodice which is the highlight of the jumpsuit. 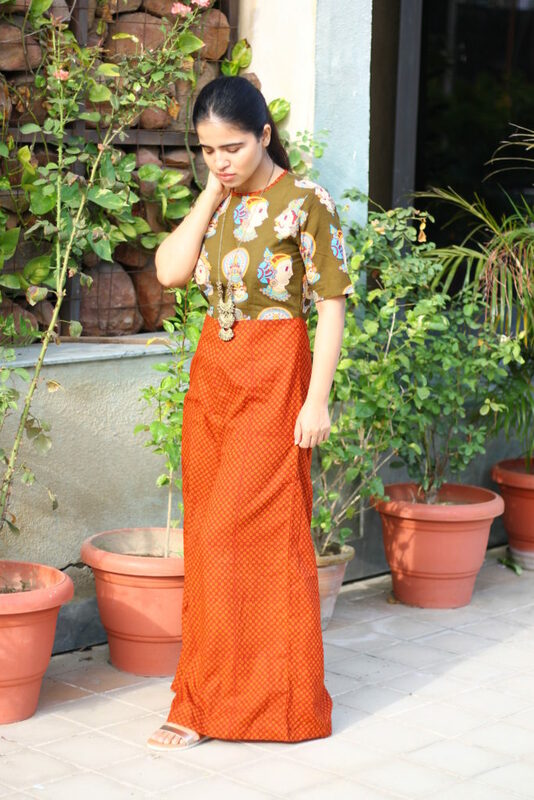 It is a such a seamless blend of ethnic and western fashion, something very me and close to my personal style. STYLE TIP: If you have a short height, wear jumpsuits with smaller prints or solid colors. If going for big prints then pair with heels to making a stunning statement. I hope you liked my look, comment below about the first memory of your jumpsuit! I remember my first jumpsuit. It was a pink halter wide leg jumpsuit. I had a Chaka Khan wig to go with it. I thought I was fly. well, that was so long ago. I love your article. You look great in your jumpsuit. 😉 Thanks for such an awesome article.